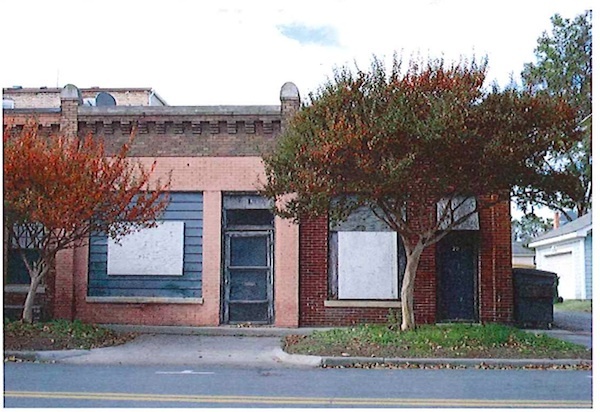 Renovations to #1 Pine Street have been approved for conversion into a 1-room hotel. CORRECTION: This story was updated at 4 p.m. to correct information on the property owner. The owner is Beach Town LLC, and the managing member and principal is Bill Parr of Parr Properties. Cape Charles Historic District Review Board approved plans yesterday to remodel the building at 1 Pine Street into a one-room hotel. The south wall of the building is also the back wall of Kelly’s Gingernut Pub. Bill Parr of Parr Properties told the Board that the one-story building will become a one-room hotel along with an office that might later be converted to a second hotel room. The application for renovations was filed in the name of Beach Town LLC, with Parr being the managing member and principal. FRIDAY 11/22: Is Gun Control About Guns, Or Control? FRIDAY 11/22: ‘Off the Hook’ Band Performs at ESO LIVE!